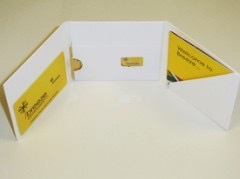 The Enclosed SIM card Wallet is a unique version of the traditional 3 panel SIM card wallet. It enables the SIM Card or Smart Card to be packaged in a very secure inner wallet whilst displaying printed card data through an aperture. 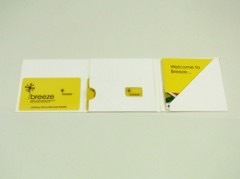 Can be fully printed to your specifications.